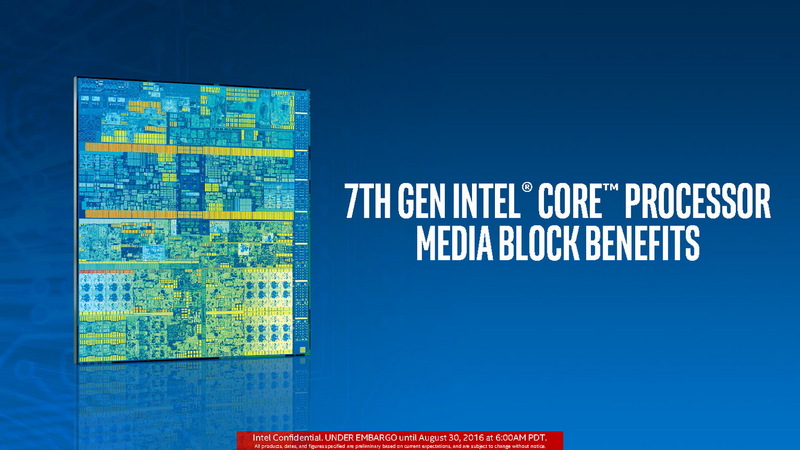 Intel just announced the new Intel Core processors from the 7th generation with the code name Kaby Lake. 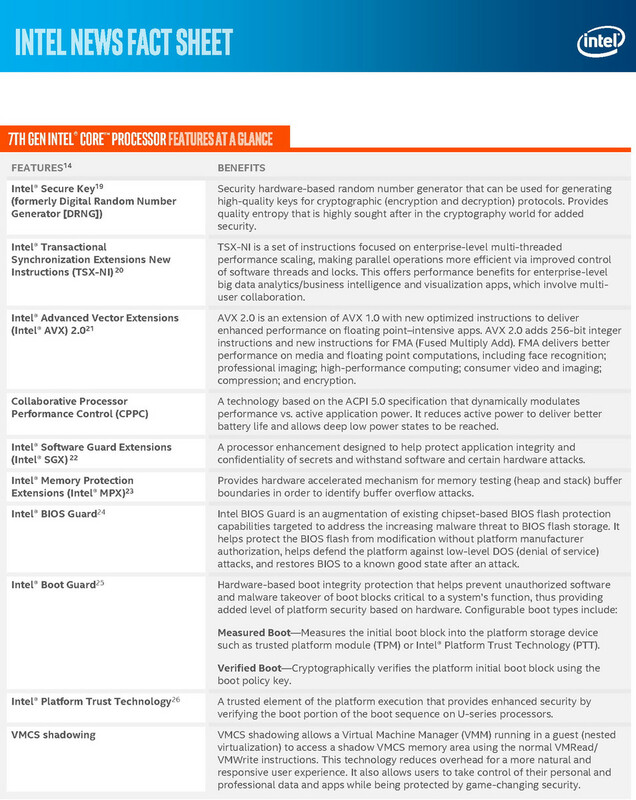 We have summarized all the details, information, and specifications. 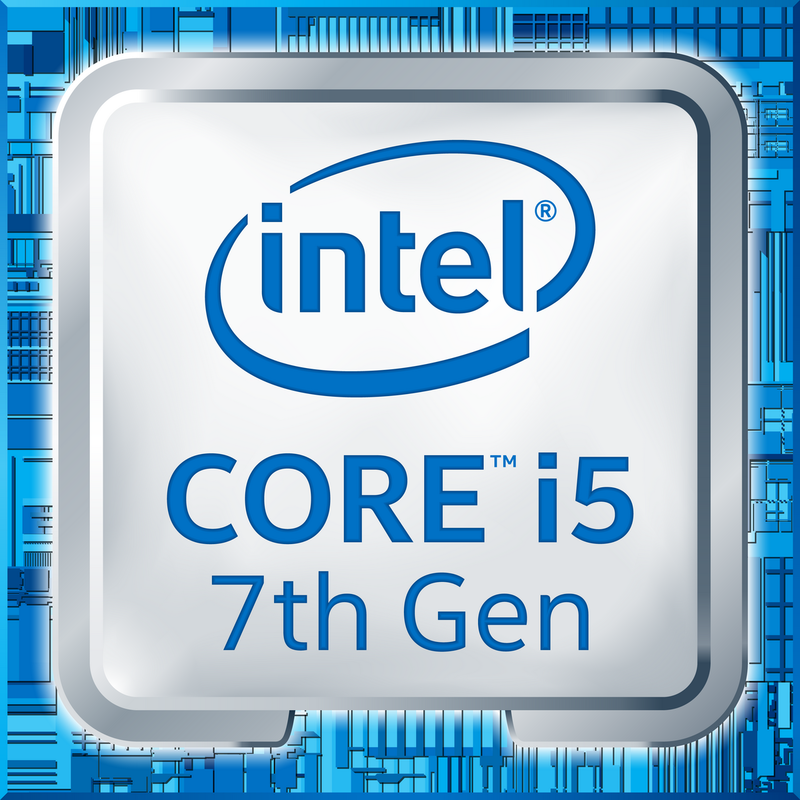 Intel has announced its 7th Core processor generation with the code name Kaby Lake, which is still based on a 14-nm manufacturing process. 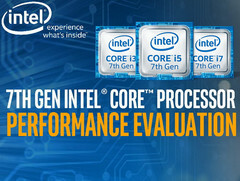 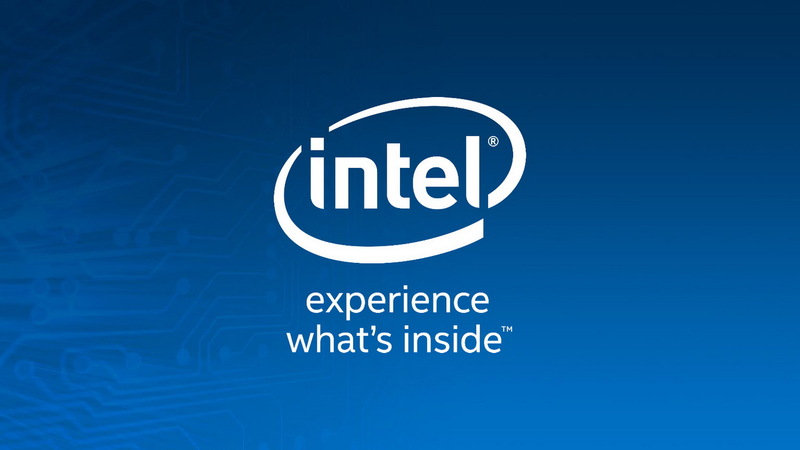 After several leaks, Intel now gives us all the important details, informations, and specs about the Skylake successor. Notebookcheck.net could already review the brand-new Intel Core i7-7500U based on the Kaby Lake generation inside the MSI CX72-7QL. The review is available here – Kaby Lake (Core i7-7500U) Review: Skylake on Steroids. 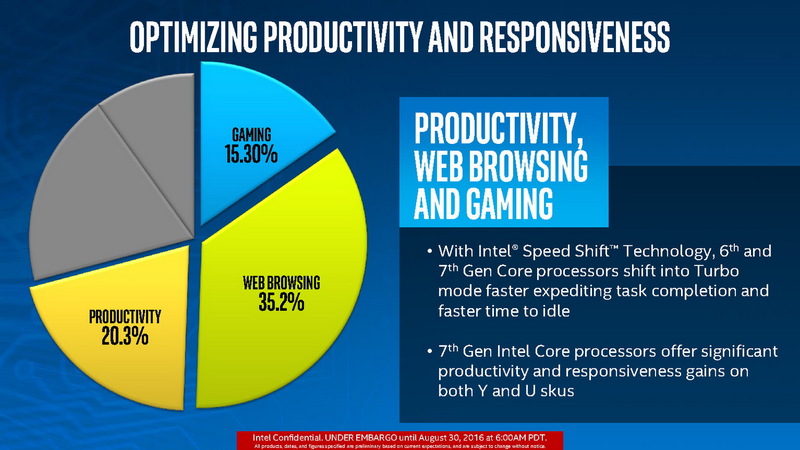 As you can see in our review, we expect an efficiency improvement between 15 and 25 percent for Intel's Kaby Lake aka "Skylake Refresh". 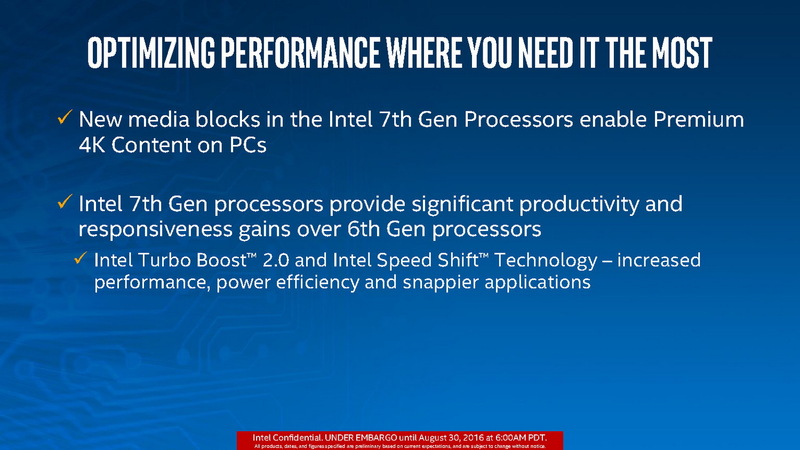 Besides an optimized CPU design, Intel obviously optimized the reworked GPU and video units of the new Kaby Lake processors quite comprehensively. 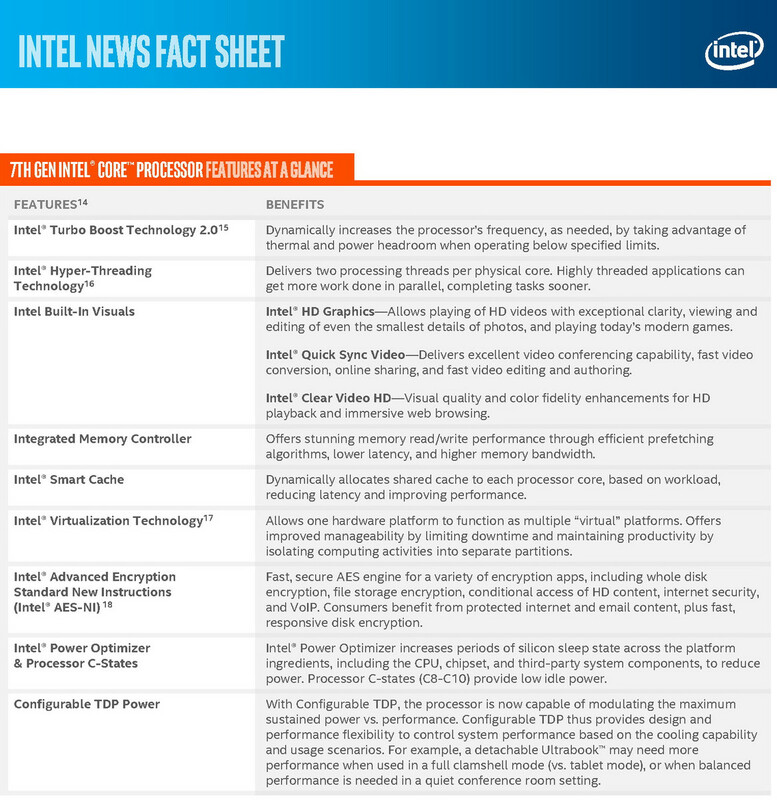 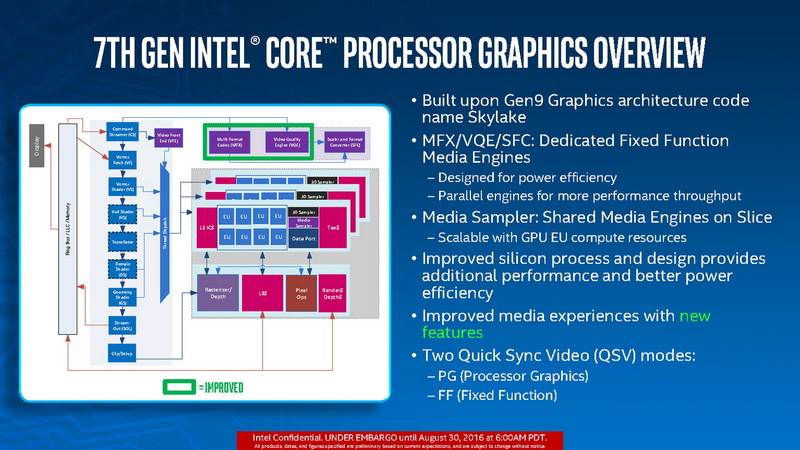 Below you will find all the details from the Fact Sheet and the slides from the Intel presentation. 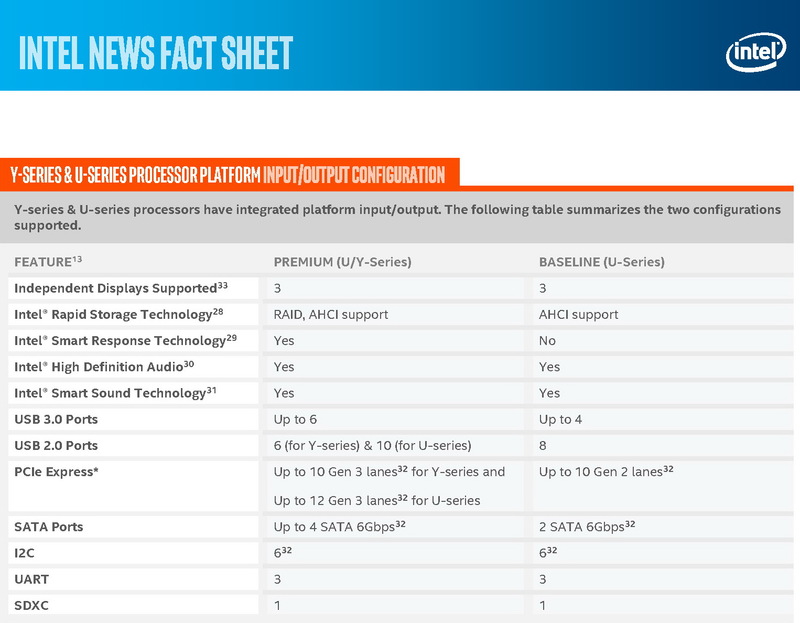 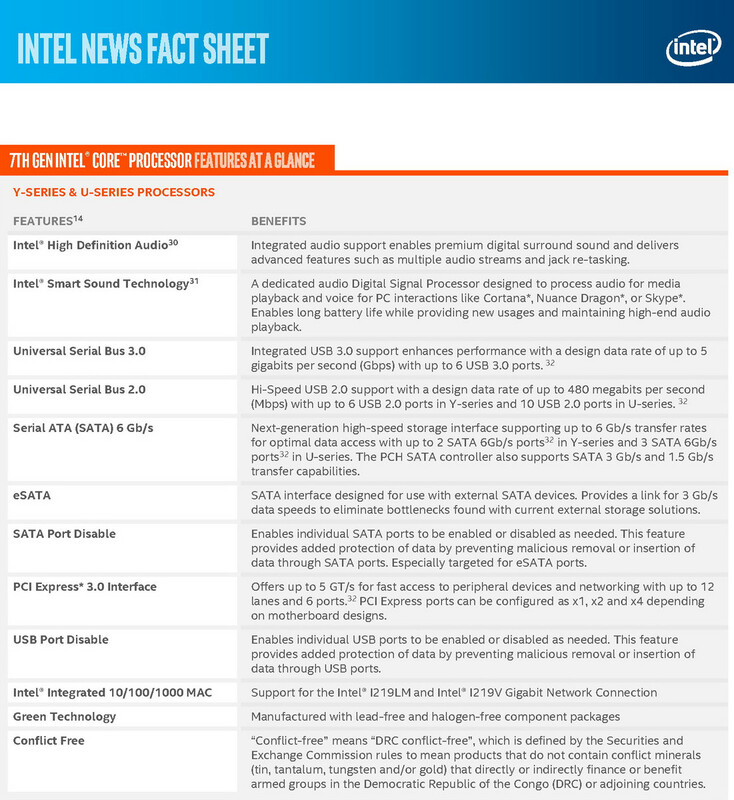 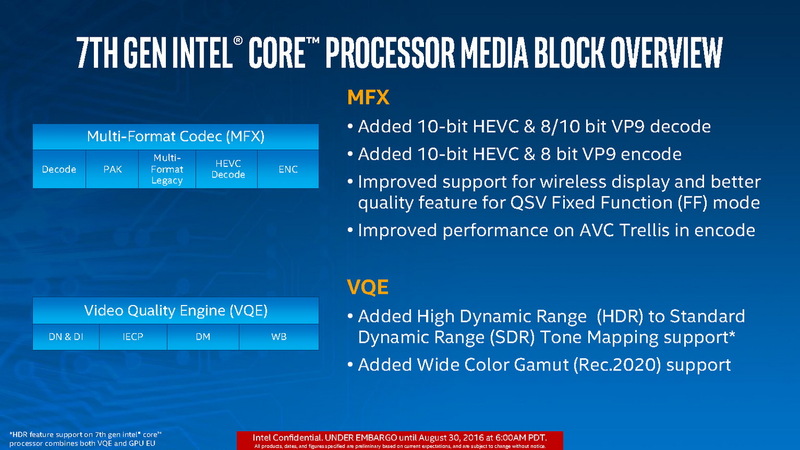 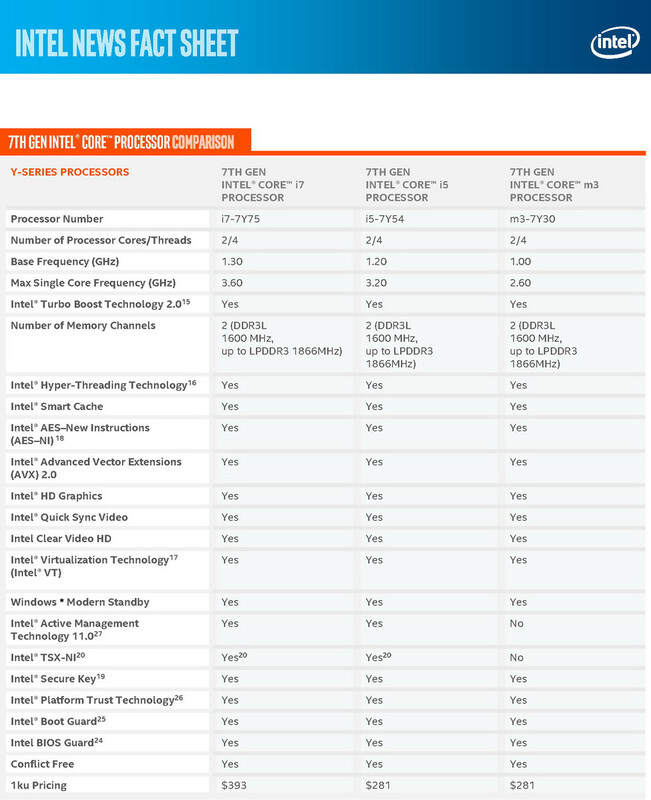 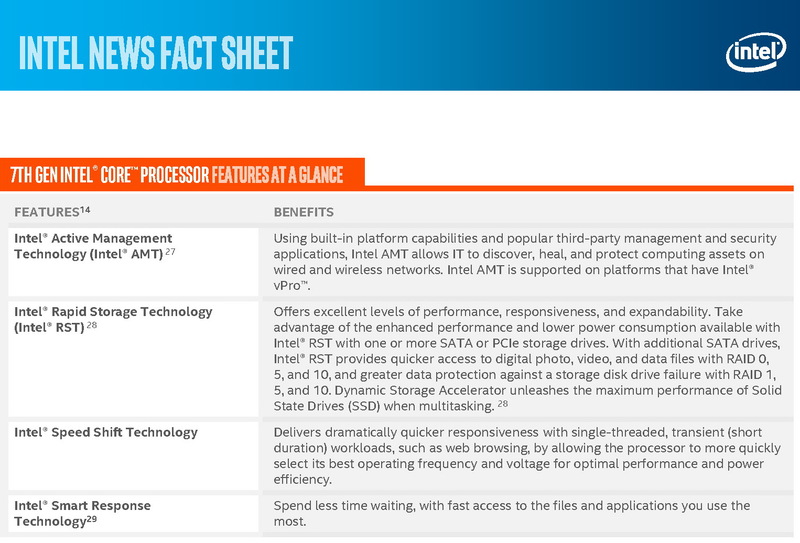 Intel's Fact Sheet for the introduction of the 7th generation Core processor launch primarily focuses on the new support for the codecs HEVC 10-bit and VP9. 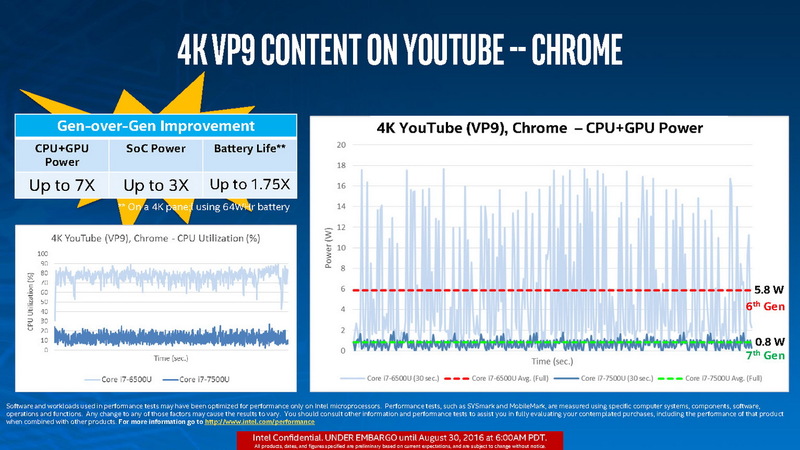 Users are supposed to get much more performance in combination with a further optimized consumption with high resolution 4K/UHD contents in particular. 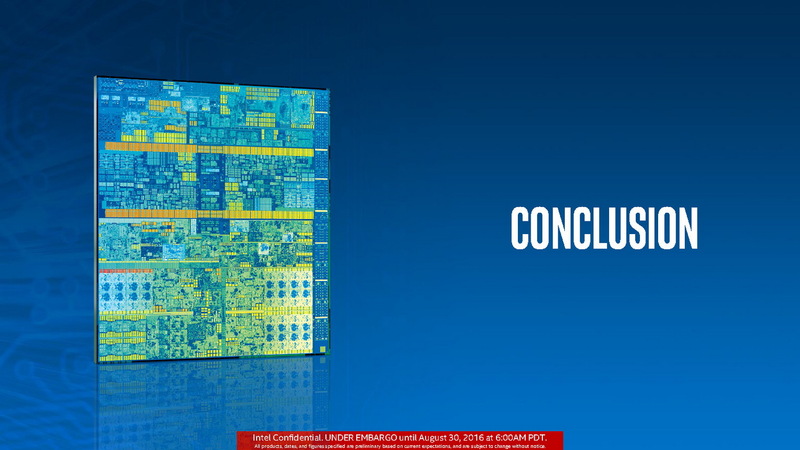 As a result, Intel promises an even higher efficiency compared to Skylake as well as Gen.3 PCIe support for the new Kaby Lake U- and Y-series. 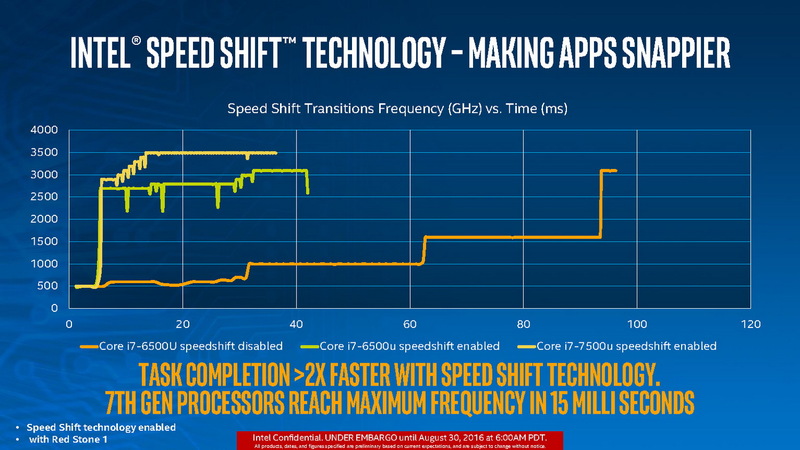 Intel expects the OEMs and big manufacturers to ship first devices with the 7th Gen core processors shortly after the launch of Kaby Lake in September. 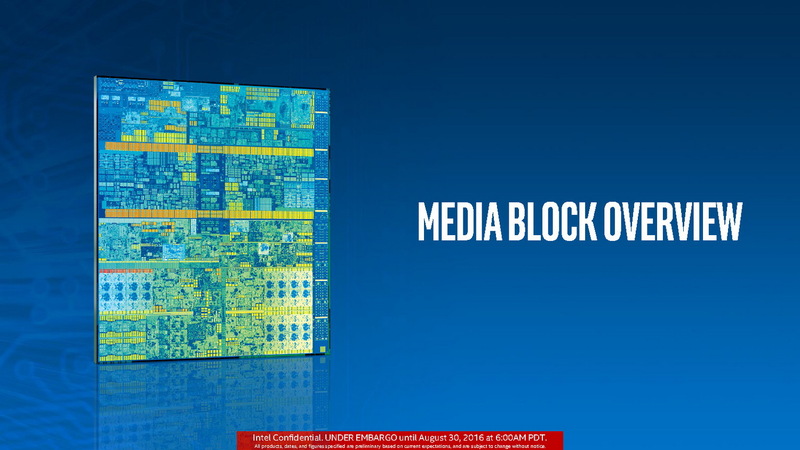 Medion announced the 13.3-inch notebook Akoya S3409 today in line with the Kaby Lake launch, for example. 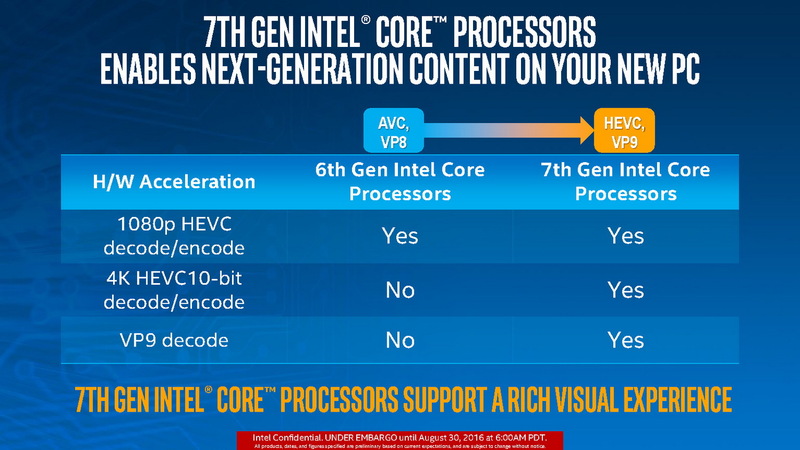 The Kaby Lake slides below show that Intel only specifies the Y-series dual-core Kaby Lake processors i7-7Y75, i5-7Y54 and m3-7Y30 for now. 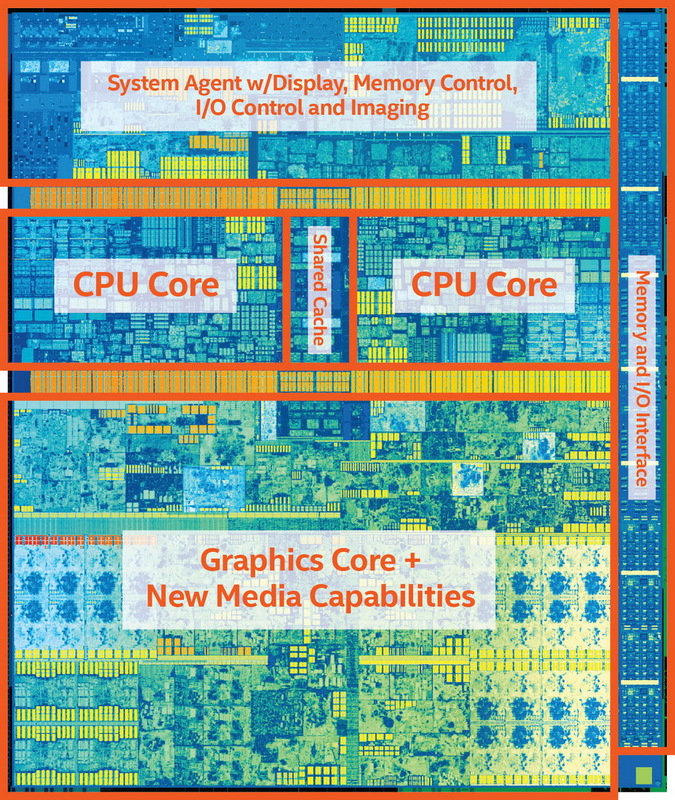 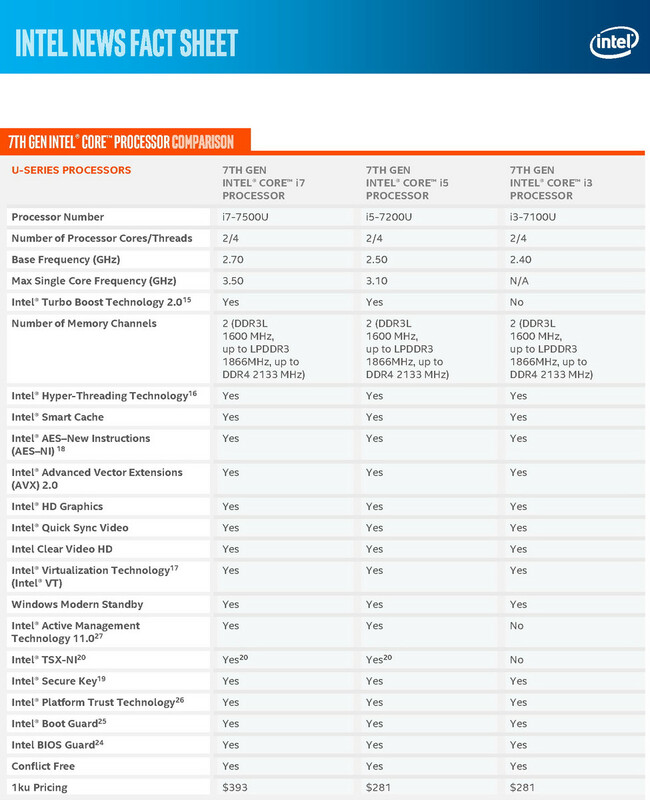 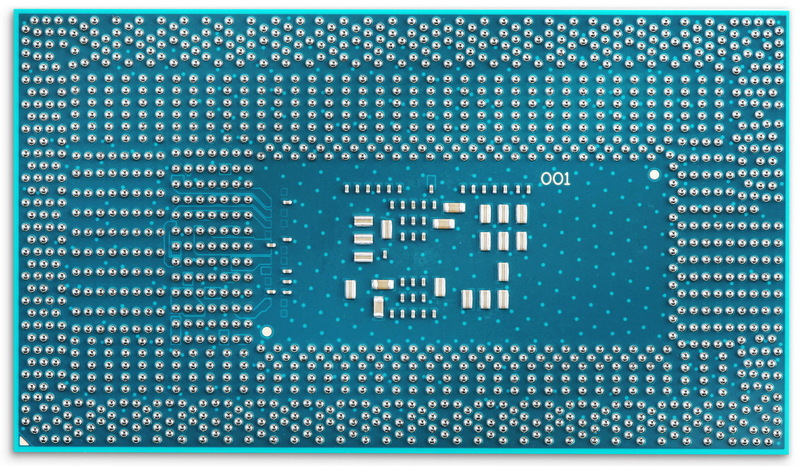 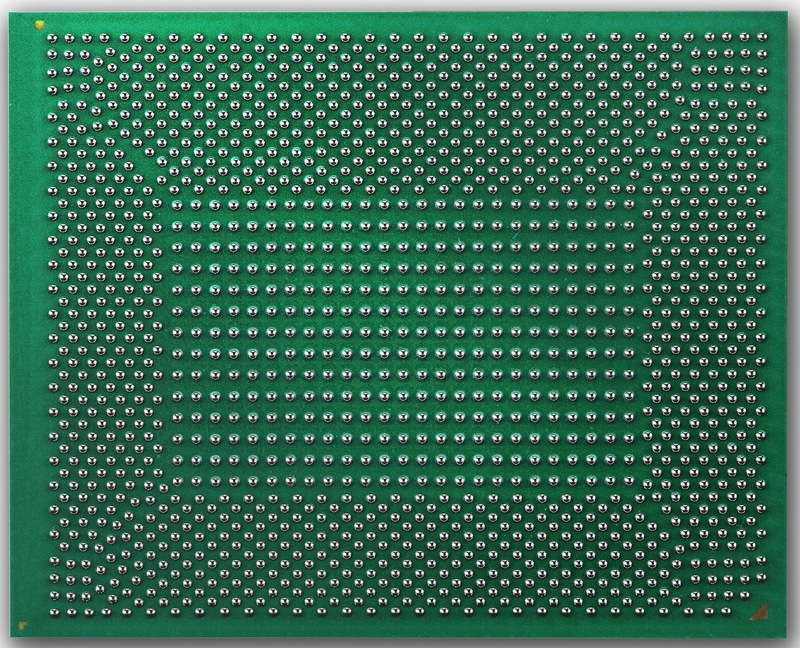 The first chips from the U-series are the SKUs Core i7-7500U, i5-7200U, and i3-7100U. 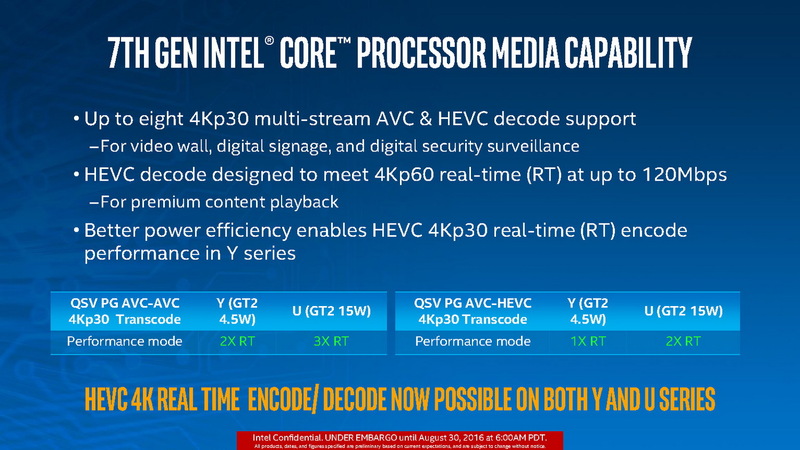 More details and differences between the CPU models are available in the slides below. 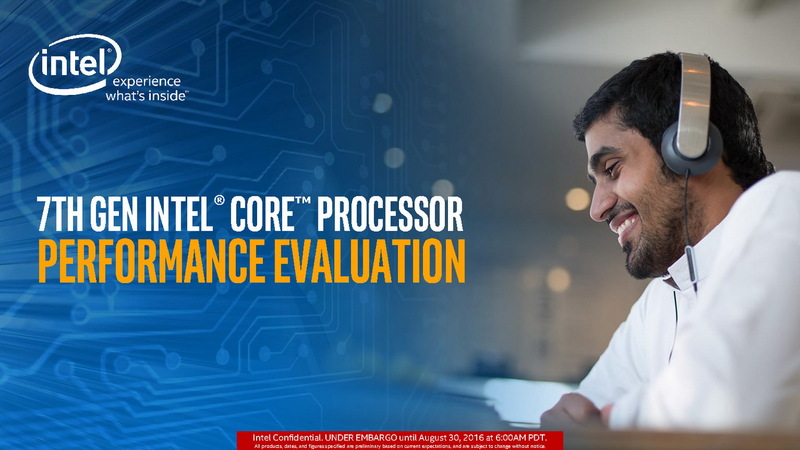 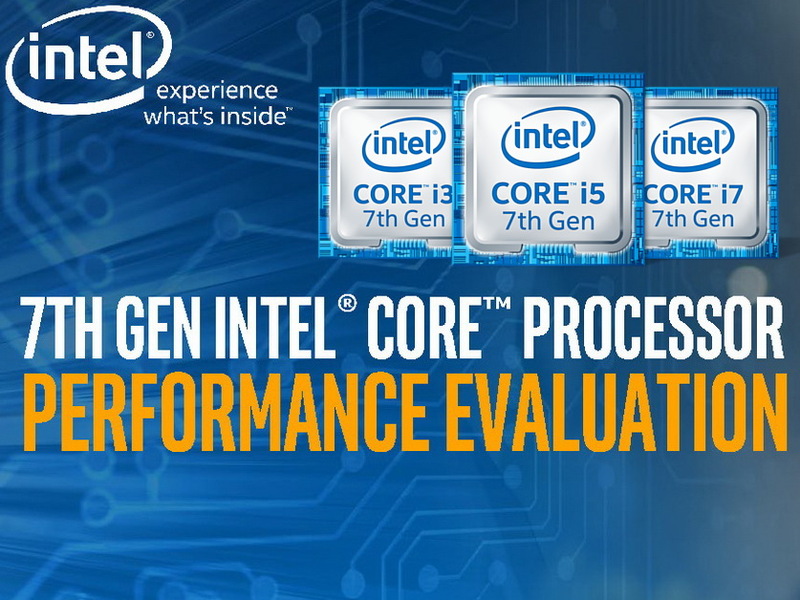 Intel also released separate slides regarding the performance evaluation of its new Core processors from the Kaby Lake CPU generation. 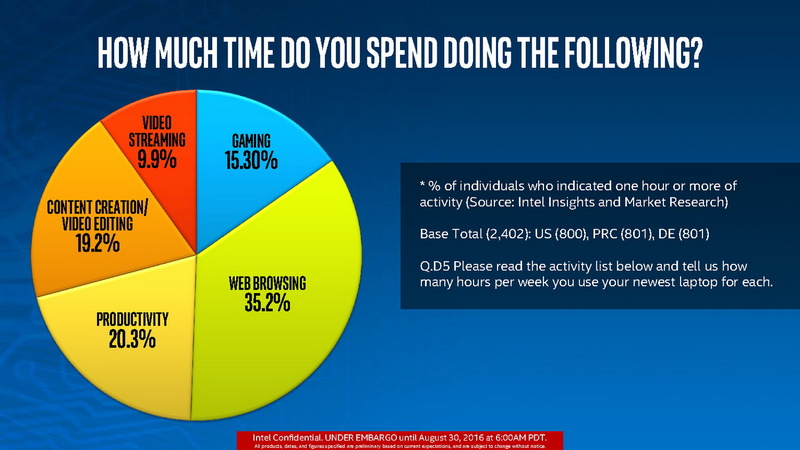 They also include results from surveys and studies about usage habits of PC users. 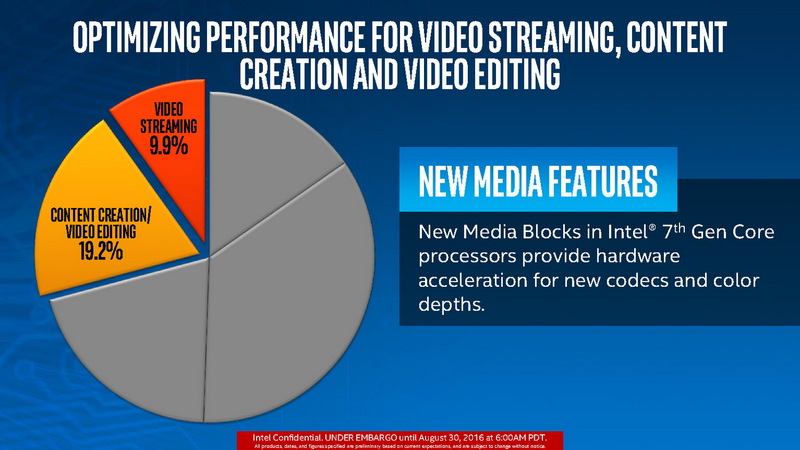 The biggest part is web browsing at 35.2 percent, followed by 19.2 percent content creation like multimedia contents and video editing. 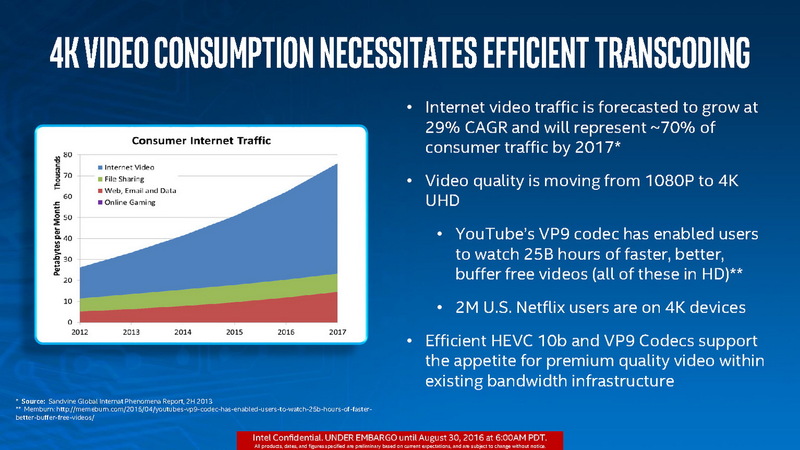 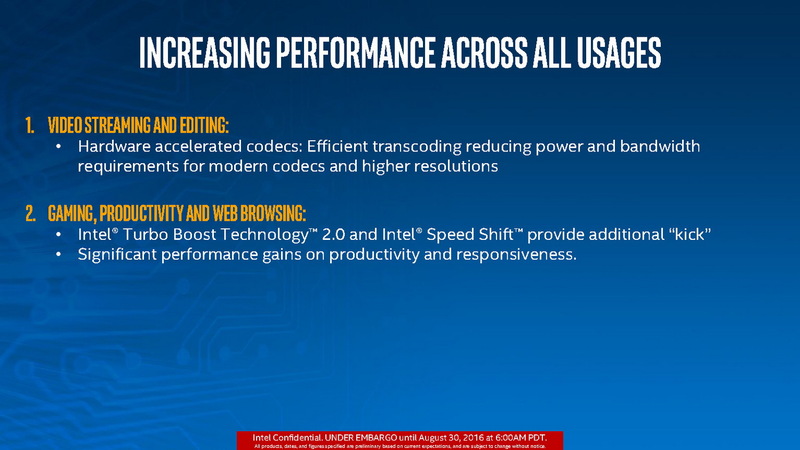 Intel once again praises the improved video and content creation performance of its new Kaby Lake processors in the Evaluation Slides. 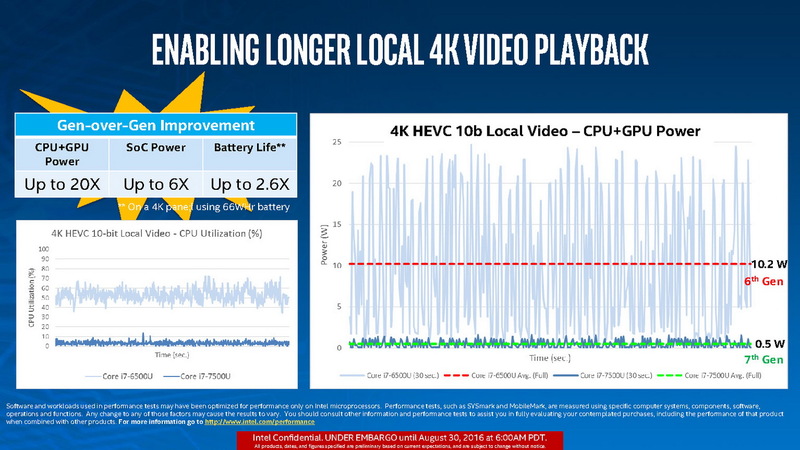 According to the manufacturer, the new notebook processors are ready for a growing market share of high-resolution 4K/UHD contents. 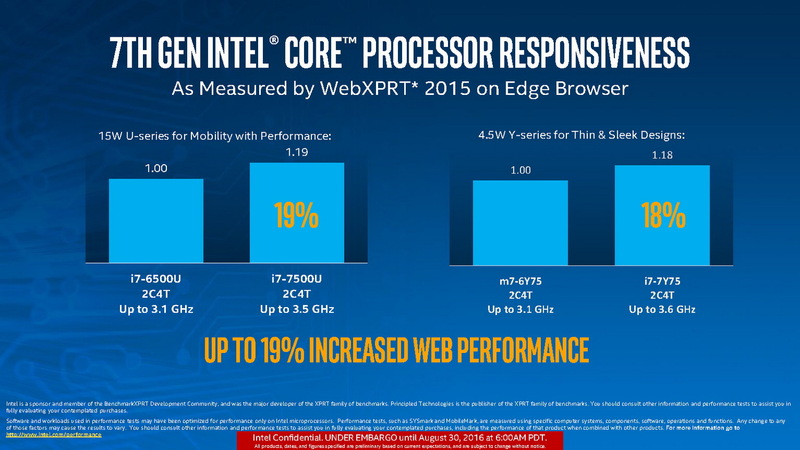 Intel promises a 19 percent advantage for the new Core i7-7500U compared to the Skylake predecessor Core i7-6500U in respect to web browsing, and about 18 percent for the 4.5 Watt Y-series between m7-6Y75 and i7-7Y75. 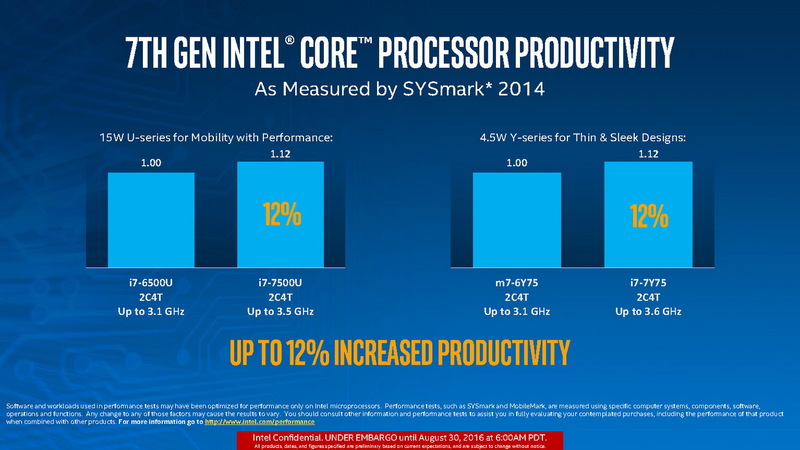 The advantage is around 12 percent in the Sysmark 2014 comparison.